Los Angeles, Calif., Nov 30, 2017 / 05:00 pm (CNA/EWTN News).- Archbishop Jose H. Gomez of Los Angeles, CA has encouraged Catholics in the U.S. to advocate for an extension to the Deferred Action for Childhood Arrivals (DACA) program before the spring deadline. “As you know, the federal Deferred Action for Childhood Arrivals (DACA) program will expire on March 5, 2018 unless Congress acts to make the DACA protections permanent,” stated Archbishop Gomez. “Now is the time for you to contact your Representative in the House… urge your representatives right now to tell the House Leadership – Speaker of the House Paul Ryan and Majority Leader Kevin McCarthy – to do the right thing and make the DACA protections permanent,” Gomez continued. In Sept. 2017, the Trump Administration announced that it would be phasing out the DACA program. Showing its support for the DACA program, the Archdiocese of LA created a website to make it easier for individuals to contact their legislators, encouraging Congress to make the DACA protections permanent. The website links users with their representatives, and prompts them to email or call with a message to make DACA protections permanent by the end of the year. More than 800,000 people rely on the DACA program, a U.S. immigration policy that makes allowances for undocumented immigrants who entered the country as minors to receive a work permit and deferred action from deportation. 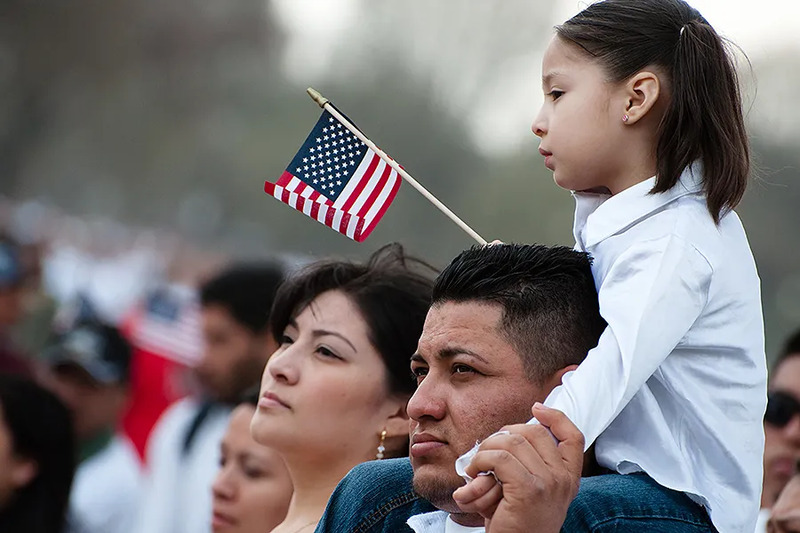 Most of the people who are part of the DACA program have lived in the U.S. for more than 10 years and were brought into the country by their parents. “These are the people that live next door. They go to work and we sit next to them at church on Sunday,” Gomez said. There are 12 business days left for Congress to take action in 2017, but the official deadline is March 5, 2018. “This is an urgent moment. If we do not reach out to our House members, nobody else is going to,” Gomez said. “May God bless you for your concern for these DACA recipients and their families. Washington D.C., Jul 22, 2017 / 04:02 pm (CNA/EWTN News).- Congress’ proposed federal budget will fail to provide for the basic needs of millions of America’s poor people, the U.S. bishops have said in a call for a morally sound budget. Boston, Mass., Sep 27, 2017 / 06:03 am (CNA).- Boys’ choirs have been a tradition in the Catholic Church since the Middle Ages, when men and women did not sing together in public, and boys’ higher-pitched voices were needed to round out the sound of sacred music used at Mass. Today, the United States is home to just one Catholic boys’ choir school – St. Paul’s choir school in Cambridge, Mass. The school is open to boys in 4th-8th grade, who must audition to earn a spot in the renowned and rigorous program. Having celebrated their 50th anniversary in 2013, and having produced their first CD, “Christmas in Harvard Square” in 2014, the school has enjoyed a recent uptick in interest and awareness of both their program and music. Given the success of their first CD, the group decided to produce another CD entitled “Ave Maria,” with a wide variety of sacred music centered on the theme of the Blessed Virgin Mary, which was released on Sept. 8, the feast of the Nativity of Mary. “(We) wanted to do something that would be ‘in season’ all year round, so something that honors Our Lady seemed like the perfect choice,” choirmaster John Robinson told CNA in e-mail comments. The 18 tracks selected for the CD cover a range of lesser-known as well as more popular pieces of sacred music, from Gregorian chant written in the 7th century to works written as recently as the 19th and 20th centuries. 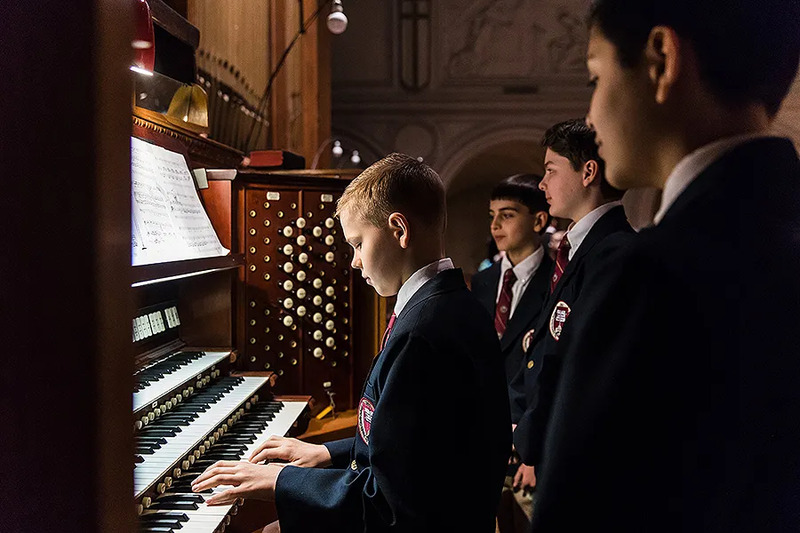 The boys in the choir school have a small window of time to capitalize on their young voices – the younger boys in 4th and 5th grade go through a practice phase before joining the older choristers, usually around 6th grade. Each piece in “Ave Maria” is meant to highlight the pitch range of the boys in the choir school, and each selection has its own story to tell in the context of both music and Church history. The Council of Trent was called by the Catholic Church to examine possible adjustments of Church practices in light of the Protestant Reformation. One adjustment considered by the council was that all sacred music be clear and readily understandable, and not obscured by complex musical techniques. Palestrina’s Mass helped prove that polyphonic sacred music could be both beautiful and clearly understood. Robinson said he has been encouraged by an increased awareness of boys’ choral music and sacred music, and he added that he hoped that the CD would appeal to a wide audience and foster a greater appreciation for Church music. The rich history of sacred music and its beautiful sound is something that has the power to unite people both to those who came before them, and to God himself, Robinson added. “Traditional Sacred music is like a collection of beautiful prayers that we can pull out and join ourselves to. Whenever we sing this music at Mass there’s a real sense of togetherness with those who have gone before. 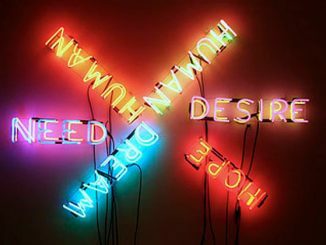 There’s also a great sense of beauty, and appreciation of the gift of beauty. There’s a feeling of learning from those great composers, so honed in their Art, and of being part of something much bigger than us,” he said. “Ave Maria” was released by AimHigher Recordings through their international distribution collaboration with Sony Classical. In addition to Robinson, some of the other people behind the album include multiple Grammy Award-winning Producer Christopher Alder, and Brad Michel, also a Grammy Award-winner. But not with my money, anymore, thank you very much.